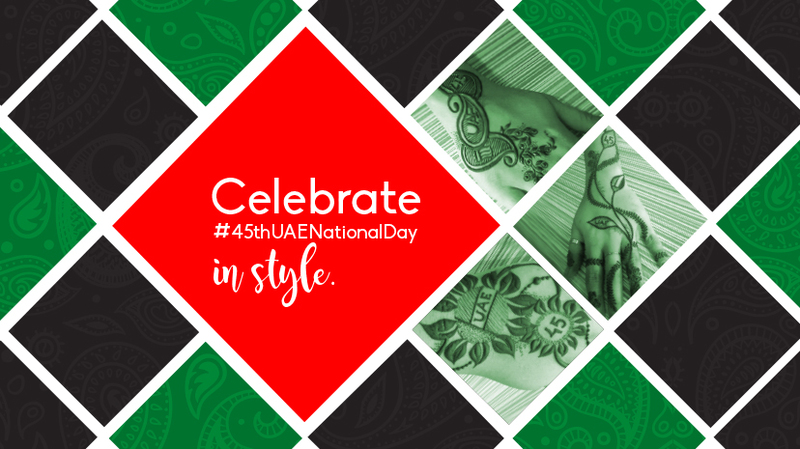 As Abu Dhabi is going to come alive this National Day with loads of interesting activities, fantastic firework shows, captivating concerts, dazzling displays at various places, it’s a wonderful chance for you to Celebrate the 45th UAE National Day in style with some amazing henna on hands and feet. You and your kids can also wear some exciting tattoos and add some extra fun to the national anniversary celebration. There are so many events happening across Abu Dhabi we’re sure y’all would have planned something for you and your family. If not, don’t worry here is how and where to celebrate the 45th UAE National Day. So supercharge yourself with stylish henna and beauty styles and get ready to grab the fun. The fridaymagazine.ae link on how and where to celebrate the 45th UAE National Day is just to facilitate the reader/readers of our website. We don not take any responsibility for the authenticity of the information given in that article.